The weather may have been overcast but it did nothing to dull the enthusiasm of the keen bidders at our 15th August 2018 Banknote auction. 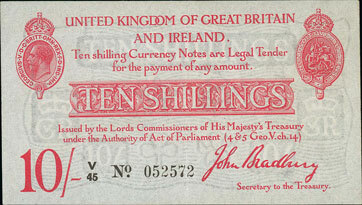 The British banknote section proved to be particularly popular. 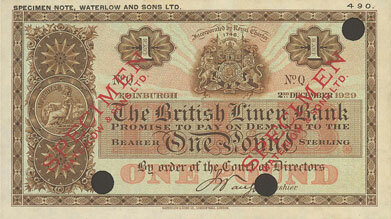 Highlights include this Bradbury 1915 10/- which realised £360. This Mahon 1926 (7 Dec) £5 sold for £600. 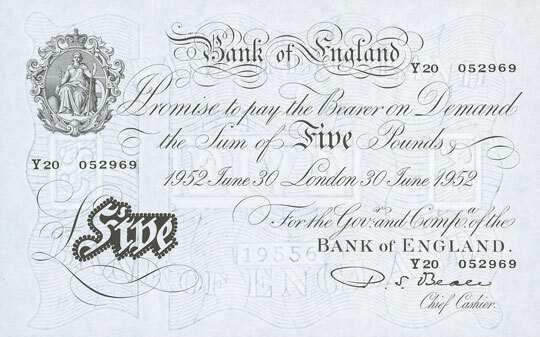 This Beale 1952 (30 Jun) £5 achieved £240. And this O’Brien 1956 (12 Sep) £5 realised £252. 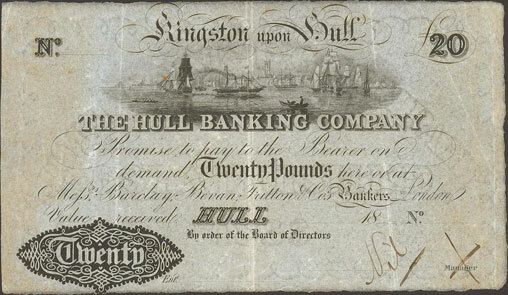 In the local banknotes section this unusual Kingston upon Hull £20 sold for £252. In the world banknotes section this Canada 1954 $1,000 achieved £504. 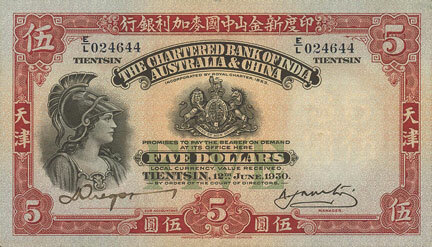 This China Charted Bank of India, Australia and China 1930 (12 Jun) 5 dollars realised £384. 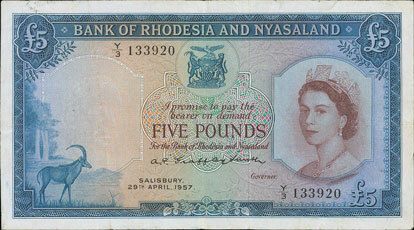 And this Rhodesia and Nyasaland 1957 (29 Apr) £5 sold for £432. There was a lovely selection of Scottish banknotes offered in this auction, including some unusual specimen examples. 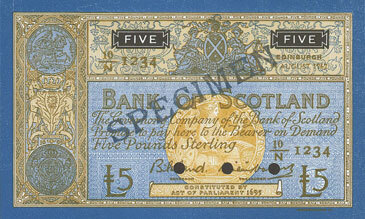 Highlights included this Bank of Scotland 1962 (14 Aug) £5 Specimen with dark blue under print which realised £276. This British Linen Bank 1929 (2 Dec) £1 trial pair sold for £348. 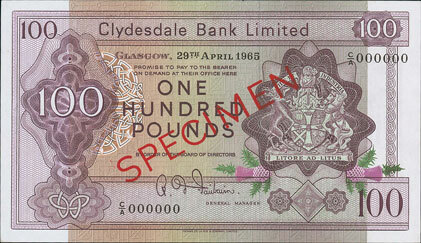 This Clydesdale Bank Ltd 1965 (19 Apr) £100, overprinted Specimen, achieved £480. 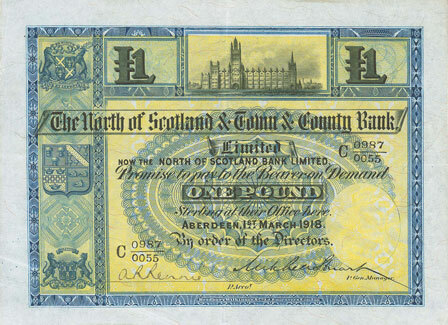 And this North of Scotland and Town and Country Bank Ltd 1918 £1 realised a whopping £600! There was also an interesting selection of banknotes from Singapore including this Board of Commissioners of Currency, Hon Sui Sen, 1973 $10, with mismatch serial numbers which sold for £120. 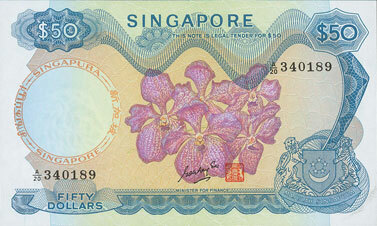 And this Board of Commissioners of Currency, Goh Keng Swee, 1970 $50 which achieved £216. Our next banknote auction will be held on Wednesday 17th October 2018. Look out for the full catalogue for this sale, which will appear on our website in the next few weeks. Also keep an eye on our Twitter and Facebook pages which will include updates of our latest auction news. 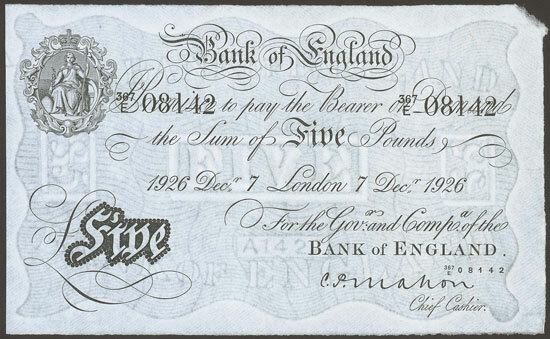 Are you thinking of selling your entire banknote collection or part of it? Would you like us to value your banknotes and give you advice on how best to market them? 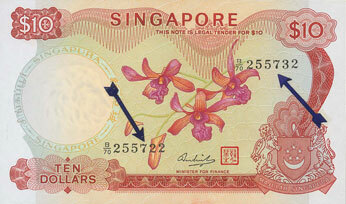 Visit our coins and banknotes department page for more information.